Let it be known that either Iceland is slowly creeping into greater prominence or I just keep stumbling on related Icelandic black metal. Regardless of its true intentions, Sinmara is the fourth Icelandic black released covered on this site. I know that number does not seem incredibly high but when contrasted against the countries 93 registered bands on the Metal Archives and a total population of 310,000, four fantastic releases seems more and more significant. 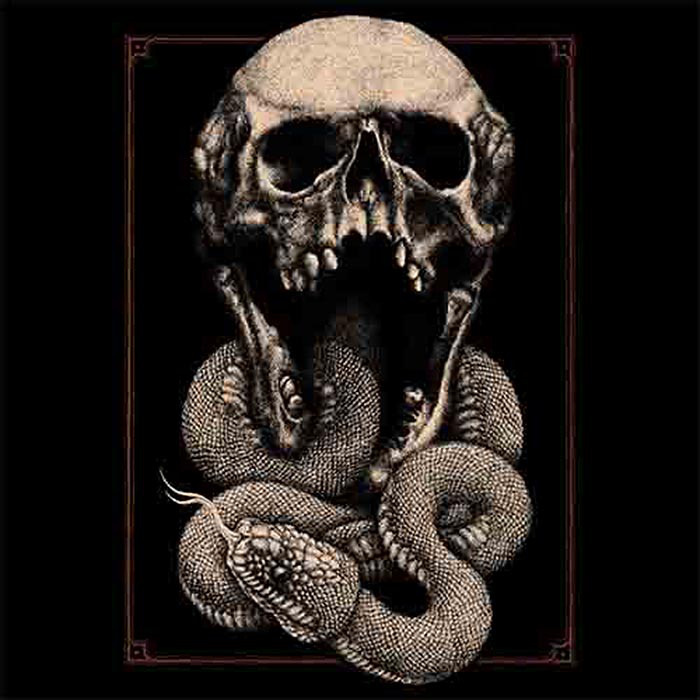 Sinmara plays a very traditional brand of mid fidelity, mid tempo black metal in the vein of Watain, Taake, and Marduk. In between bursts of blast beats, there is an undeniable groove which provides the backbone for the band’s debut release. This is of course running past curtains of madness which become increasingly suffocating. Rather than bounce around from demo to EP to full length, Sinamra has cut the line and decided to release a dense 50 minute album which gets more frightening and engaging as the minutes march. Aphotic Womb is a strong statement from a band that has thrown their proverbial hat in the ring not just for Icelandic black metal but for clean and effective heavy metal. Iceland, as an up and coming exporter of extreme metal, is interesting because of its size and social climate. With 2/3’s of its population living in Reykjavik, the city is becoming a relative Mecca for black metal. While this is far from having a sound take over a city, the recent trend is interesting even if it plateaus at this current level. Each Icelandic release is going to send me into a mania of conspiracy which wants to predict the next major wave of heavy metal. I am not ready to say but I hope that is is from a small dark island surrounded by even darker waters.